Manufactured in Japon from Circa 1960 until Circa 1965. The A5 exists in various configurations of lenses and shutter. 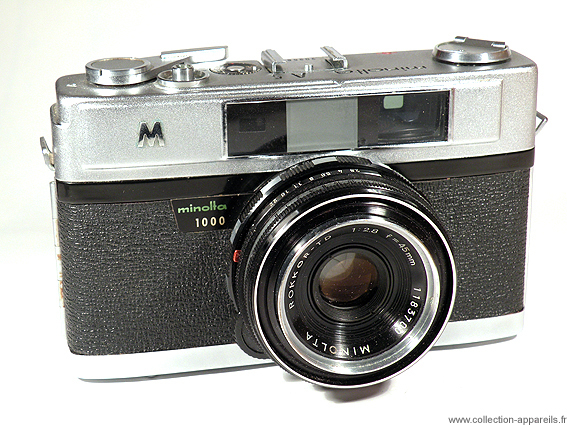 On this specimen, the Citizen shutter reaches the 1/1000. A green and white inscription in front does not fail to announce it. On another specimen presented on the site, the maximum speed of the shutter is the 1/500. According to McKeown, this difference in shutter speed would make it possible to distinguish the cameras from the US market (1/500) of those of the Japanese market (1/1000).